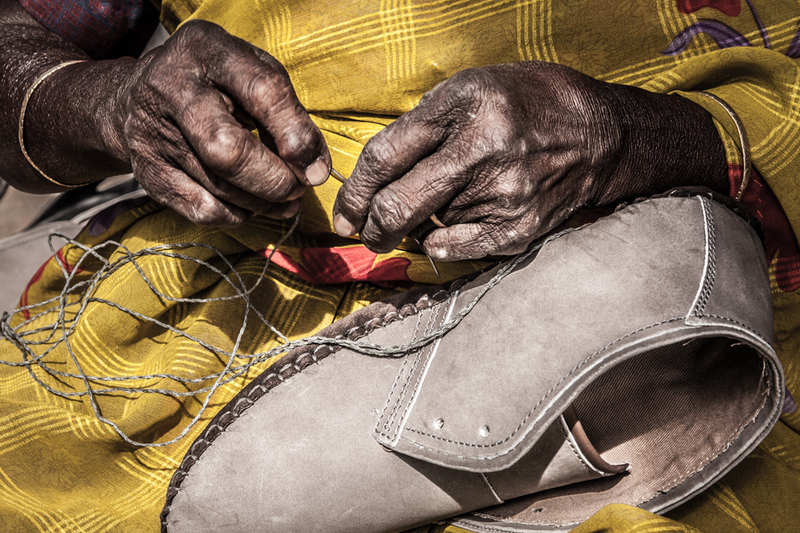 Please join us for a panel discussion on Friday 12 May in Manchester: Who stitches your shoes? 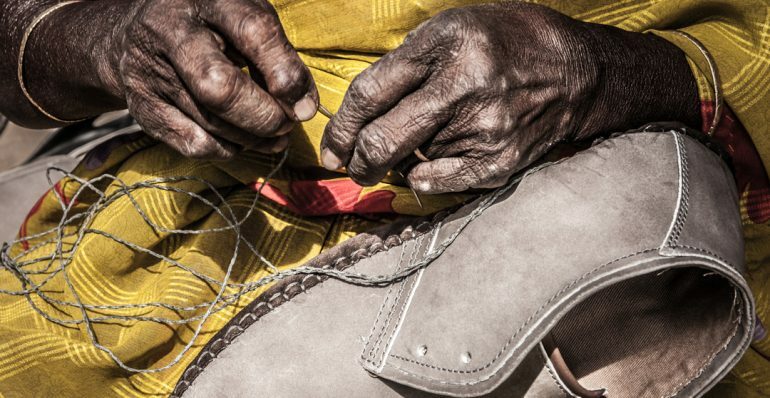 Indian leather workers and supply chain transparency. We are delighted to welcome our guest speakers including Gopinath Parakuni, General Secretary of the Bangalore workers’ rights organisation Cividep, who will talk about the challenges for shoe and garment workers and what needs to be done. India is a major exporter of clothes and shoes – particularly leather – for the UK fashion industry. The workers producing these exports face major risks due to the chemicals used, and working conditions fall well short of minimum standards. For example, homeworkers stitching leather uppers are paid on piece rates well below minimum wages. UK companies sourcing from India have a responsibility to ensure that workers are paid decent wages, have secure employment and a safe environment. At the same time the Manchester garment industry is growing, as ‘fast fashion’ seeks out manufacturers closer to home. However, many local factories are little more than workshops – employing less than fifty people and with little leverage over the prices and conditions set by big brands. This is where Manchester and India intersect – how can worker activists bargain with global brands to ensure decent work? One significant barrier to improving working conditions is a lack of transparency. Many workers do not know whose products they make and brands do not tell us. Transparency in the supply chain would enable workers and civil society organisations to hold companies to account, to effectively seek remedy for violations and work to prevent further abuses of workers’ rights. This informal roundtable brings together Indian labour activists with local academics and activists to understand the challenges faced by workers in the shoe and garment industry – predominately female – and what action is needed. There will be extensive opportunities for questions and discussion. * Labour Behind the Label (LBL) is a UK organisation supporting garment and shoe workers to improve their conditions and change the industry for the better. LBL represents the global Clean Clothes Campaign in the UK. * HomeWorkers Worldwide (HWW) works to support homeworkers and other informal women workers, and their organisations, in their struggle for rights and respect.